What Does Converter Mean When Talking About Photography? A converter, also referred to as a tele-converter or extender is a secondary lens which can be mounted between a camera and main lens. The purpose of a converter is to magnify the central portion of a lenses image area, therefore increasing the focal length. Typically converters come in either 1.4 or 2.0 magnification factors. When using an extender the shooter will sacrifice a small amount of lens speed (-1 stop for 1.4 and -2 stops for 2.0) and autofocus performance will also reduce slightly. 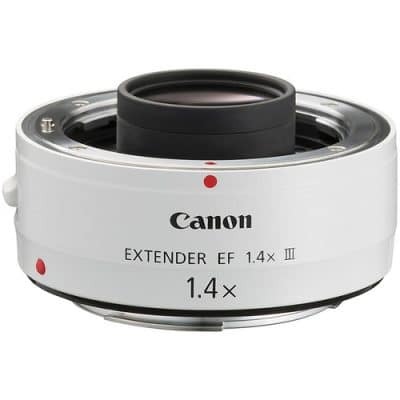 Extenders also magnify any distortion caused by the lens it is attached to which is worth baring in mind when choosing using an extender over purchasing an extra lens.